Three years of historic peace talks between Colombian government and FARC negotiators have resulted in a ceasefire agreement. 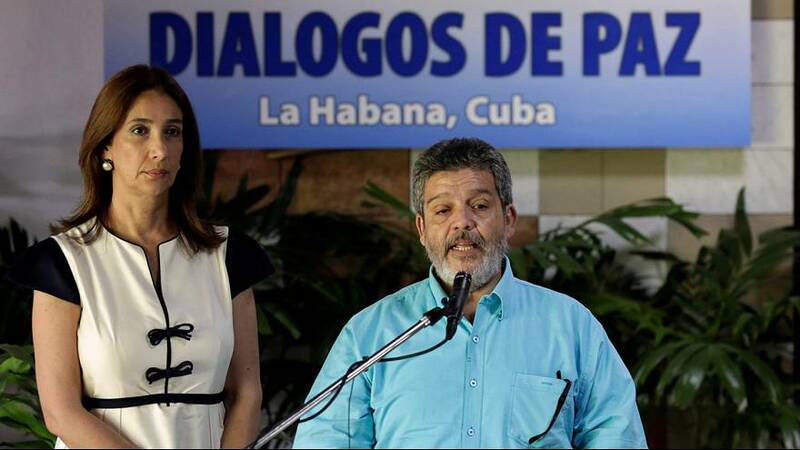 “The national government and FARC delegations inform the public that we have successfully agreed to a definitive and bilateral ceasefire, and the laying down of arms, security guarantees and to fight against organised crime units,” announced Marcela Duran, Communications Director for the Colombian government. It’s hoped the deal struck in the Cuban capital will put an end to five decades of a war that has killed over 220,000 people and displaced millions more. The accord is being signed on Thursday (June 23), when further details of its content are also expected. A national referendum on the agreement will then be organised. The Revolutionary Armed Forces of Colombia, or the FARC, called a unilateral ceasefire in 2015, which saw violence levels dramatically drop. Born of a 1960s peasant movement demanding land reform, it progressed to carry out ransom and politically-motivated kidnappings and became heavily-involved in the drugs trade. The group of combatants, which is thought to have numbered as many as 17,000 members in its prime, is considered a terrorist organisation by both the European Union and the United States.